Grace Mugabe eyeing presidency in 2023 and not 2018! China refused to endorse a United Nations resolution that would have allowed military intervention in Zimbabwe shortly after President Robert Mugabe won the presidential elections in June 2008 when Movement for Democratic Change leader Morgan Tsvangirai pulled out, because it believed that Tsvangirai was the problem and not the Zimbabwe African National Union- Patriotic Front leader. China’s assistant Foreign Minister Liu Jieyi told United States ambassador to China Clark Randt that China and the United States shared the same goal for Zimbabwe: peace and stability. They only differed on the means for achieving that goal. 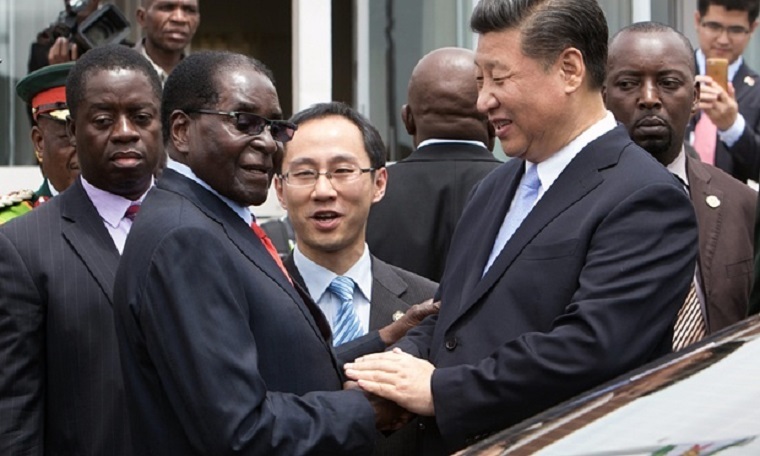 Liu said as far as China was concerned, the problem was not Mugabe. It was actually Tsvangirai because he had changed his position from conciliatory to “hard line”. Liu blamed Tsvangirai’s change of position on the draft United Nations Security Council Resolution that sought sanctions on Zimbabwe and the international community’s statements, which “put a lot of pressure on Mugabe” and gave Tsvangirai an incentive to “wait things out” rather than engage in substantive negotiations. He said that the best solution for Zimbabwe was a power-sharing agreement and a government of national unity as this offered Zimbabwe the greatest chance of returning to normalcy. Liu said that the international community must give South African President Thabo Mbeki and the African countries the time they needed to work out a solution that would allow a united government and power sharing in Zimbabwe. He said that China had a serious problem with the UN resolution because the situation in Zimbabwe did not constitute a threat to international peace and security according to the UN Charter. It was therefore not a basis for moving to a negotiated solution and would complicate the situation and move away from the power-sharing solution. Asked if Mugabe would agree to power sharing, Liu said “an authoritative, reliable source” had assured China that he was and might even consider retirement in one or two years. Below are the first 500 Wikileaks cables on Tsvangirai, 225 to go.